Welsh Springer Spaniels are energetic dogs who love being close to their family members — so much that they are called “Velcro” dogs. The Welsh Springer Spaniel is a compact hunting dog sometimes thought to be a type of English Springer Spaniel, but they are actually 2 distinct breeds. An interesting feature of some Welsh Springer Spaniels is webbed feet. The nose is black or brown, and the oval eyes are brown. Their long ears are covered with hair, and the tail is usually docked on working dogs (tail docking is illegal in most of Europe for non-working dogs). 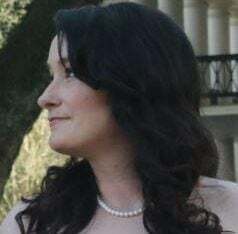 The coat is red and white and of medium length, and the hair is either straight or wavy. Ancestors of the Welsh Springer Spaniel date to 7000 B.C. and were used as hunting dogs in Wales. These dogs later developed into the Agassian Hunting Dogs in 250 B.C. During the Renaissance, a red-and-white retriever started appearing on tapestries. The dog was popular in the 1700s but lost favor in the 1800s. When Darwin’s evolution theory gained momentum, selective breeding programs were started that included the Welsh Springer Spaniel. The breed was revitalized and began competing in dogs shows in the English Springer Spaniel class. The breed was added to the American Kennel Club’s registry in 1906. After World War II, no Welsh Springer Spaniels were registered with the AKC, and more dogs were imported to the United States. The breed’s revival was followed by the formation of the Welsh Springer Spaniel Club of America in 1961. These active, loyal dogs are close to their family members — so close, in fact, that they’re often referred to as “Velcro” dogs. They can be stubborn, so training should start as early as possible. Positive reinforcement is strongly recommended because the breed does not respond well to harsh discipline. They are generally good with children, dogs and other pets. They may be reserved with strangers and should be thoroughly socialized. HIGH: The Welsh Springer Spaniel is energetic, so plan on daily walks and play time to expel energy and prevent negative behavior. Running and playing outdoors will help them burn off energy, but be sure to exercise your dog on a lead or within a secure area when outdoors because of their hunting instincts. They typically do well in apartments if their exercise needs are met. MEDIUM: Welsh Springer Spaniels shed an average amount — brush yours a few times during the week, and more so during periods of excess shedding. Bathe as needed. 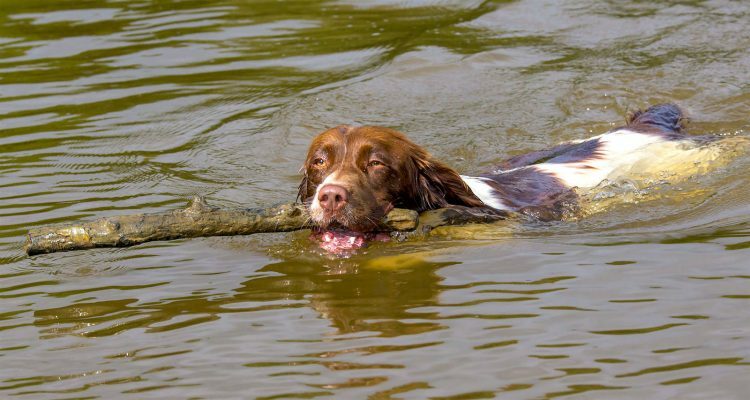 Spaniels who hunt should be checked for debris and insects when returning indoors from fields, swamps or wooded areas. Trim the hair between the paw pads, especially for outdoor working spaniels. Regularly trim your Welsh Springer Spaniel’s nails, and clean the teeth and ears. 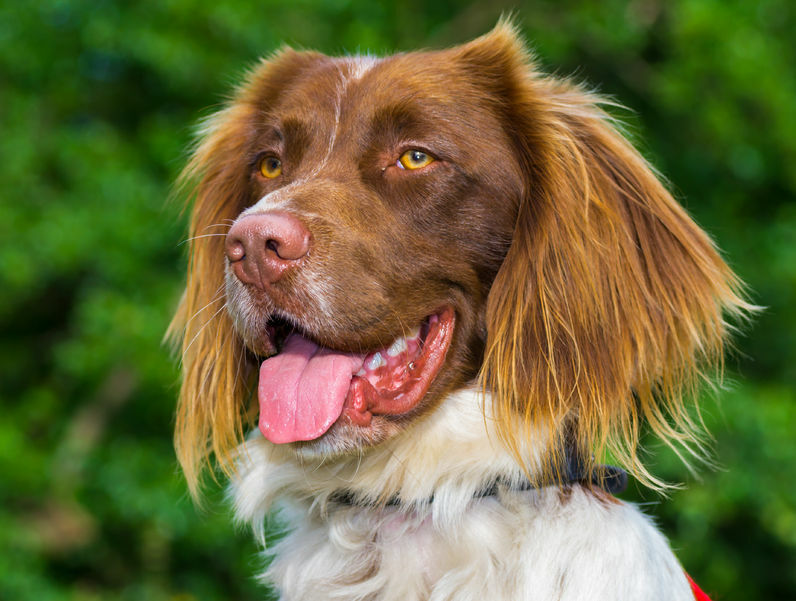 Welsh Springer Spaniels may not be easy to find, but you can search our database to get started. Contact local rescues and shelters — purebred dogs often end up there. If you decide to go with a breeder, meet the parents and observe the living conditions of the dogs and puppies. Ask for health clearances on the parents.